The space of the Solar system, besides the Sun, major planets and their satellites, is occupied by various bodies including both the smallest particles with a size equal to micron and multikilometer big asteroids and comets. Asteroids of Apollo, Amor and Aten groups are considered to be the most important in asteroids motion research because their orbits come into contact with the Earth's orbit or cross it and, in case of close approaches to the Earth, there is a danger of collision. Studying of short-period comets motion is also of great importance. Nowadays hundreds of new asteroids of Apollo, Amor and Aten groups and some of short-period comets are annually discovered. Some of the discovered objects can closely approach the major planets of the Solar system, including the Earth. Information about already discovered objects is constantly updated. Cataloguing of small bodies of the Solar system is the important stage in «asteroid risk» problem solution. 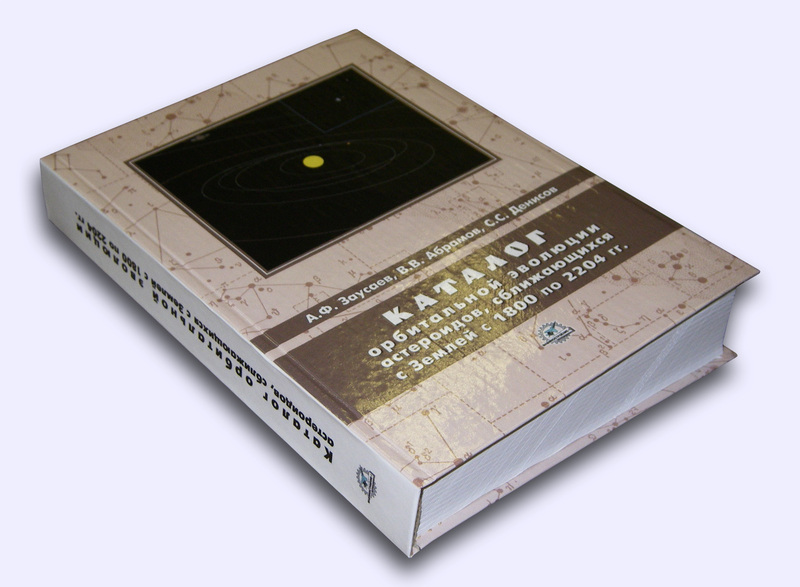 Catalogues of asteroids and comets contain valuable information on distribution of small bodies in the Solar system and their orbits elements evolution. The website contains the catalogue of orbital evolution of small bodies of the Solar system. It contains information about asteroids of Apollo, Amor, Aten groups1 and short-period comets2, about their orbital evolution and close approaches to major planets. This information can be helpful for motion studying of the potentially hazardous objects and allows to estimate the risk of their possible collision with our planet in future and timely take measures to prevent catastrophic consequences. Current number of asteroids in the database is 18 854. Number of comets is 244. This project was supported by the Federal Agency of Education (project codes RNP 2.1.1.1689, RNP 2.1.1.745). 1. Zausaev A.F., Abramov V.V., Denisov S.S. Catalogue of orbital evolution of asteroids approaching to the Earth between 1800 and 2204. – M.: Mashinostroenie – 1, 2007. – 608 p. ISBN 978-5-94275-373-3. 2. 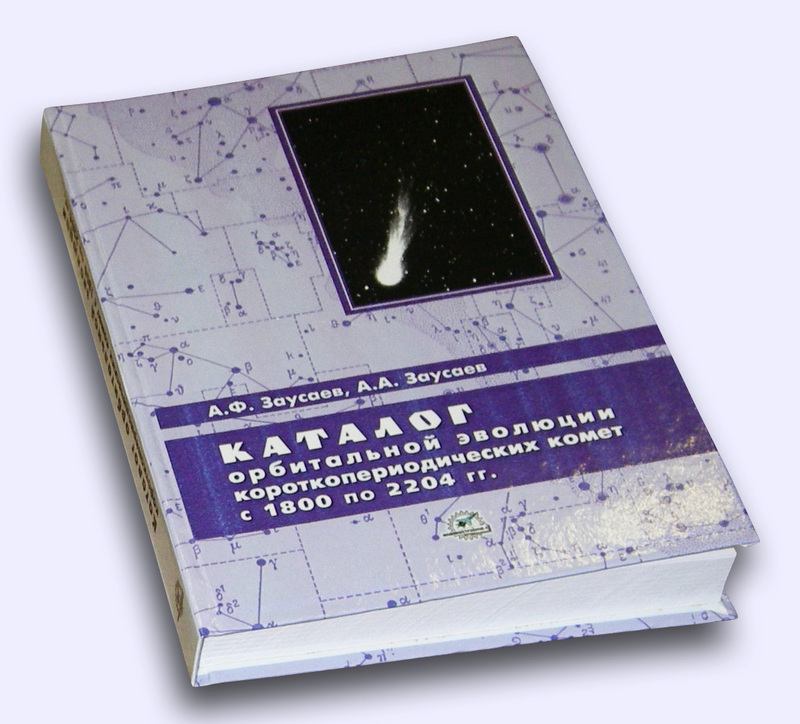 Zausaev A.F., Zausaev A.A. Catalogue of orbital evolution of short-period comets between 1800 and 2204. – M.: Mashinostroenie – 1, 2007. – 410 p. ISBN 978-5-94275-372-6. 3. Zausaev A.F., Zausaev A.A. Mathematical modelling of orbital evolution of small bodies of the Solar system. – M.: Mashinostroenie, 2008. – 250 p. ISBN 978-5-94275-425-9. 4. 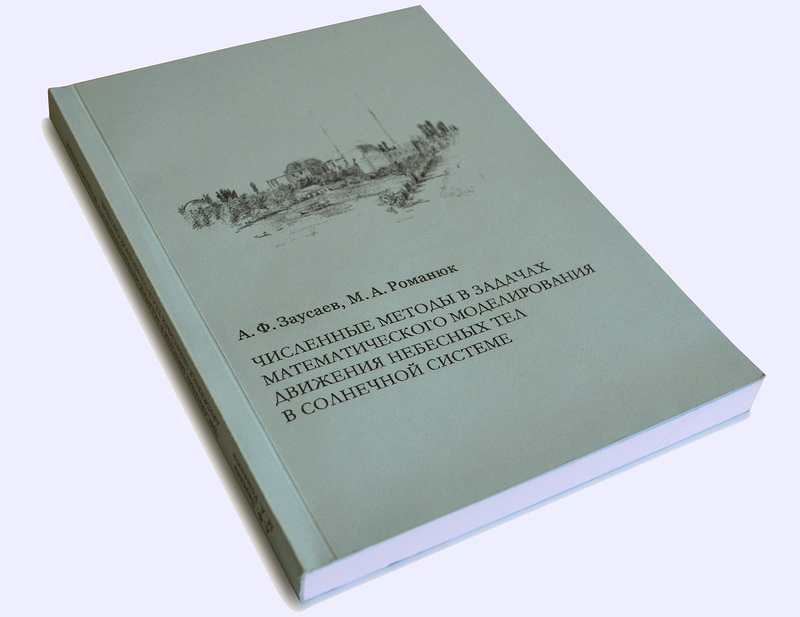 Zausaev A.F., Romanyuk M.A. 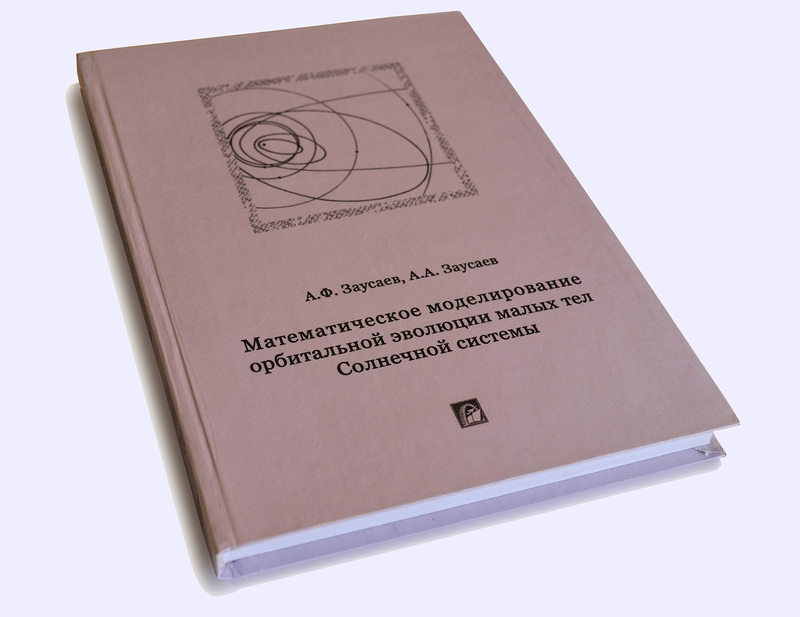 Numerical methods in problems of mathematical modelling of motions of celestial bodies of the Solar system. – Samara. : SSTU, 2017. – 265 p. ISBN 978-5-7964-1988-5.